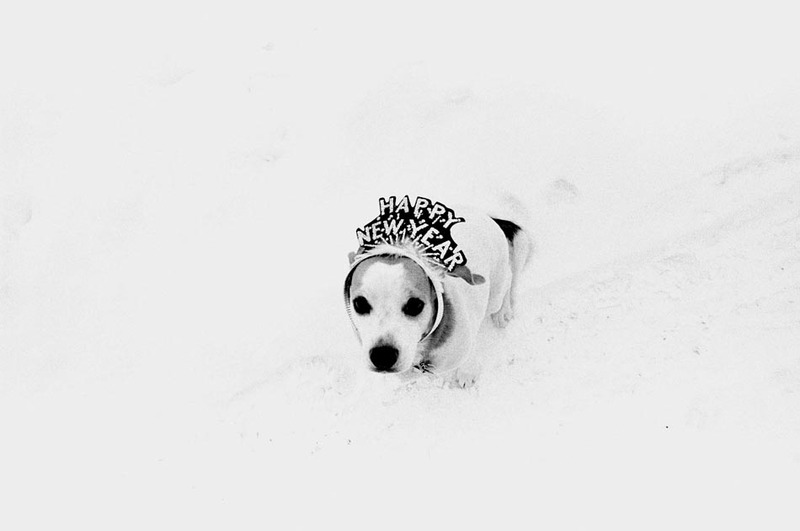 I began a photographic collaboration with a little beagle puppy soon after she came to us from Vermont’s Northeast Kingdom. 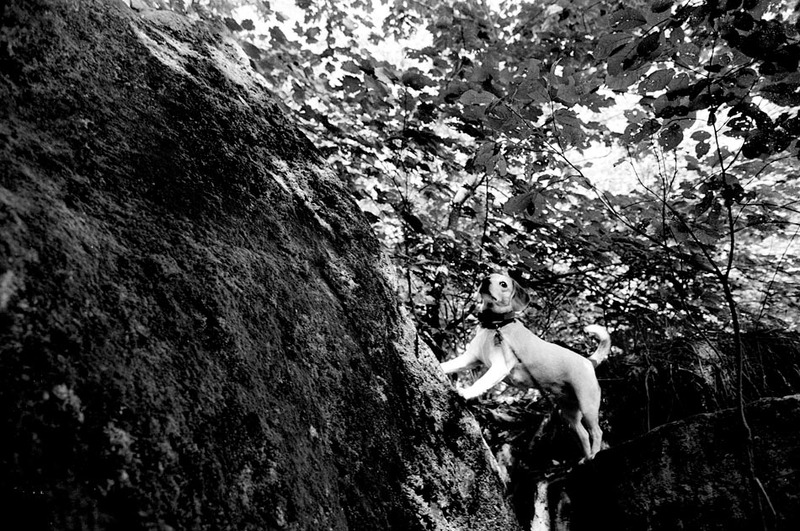 Taking the pictures of Lucy for fun, friends and family noticed potential in the postcard photos I sent them. Five years later, Stephanie Bennett, a very kind editor at Andrews McMeel Publishing, asked to publish the photographs in a small hardcover book. The book had a five-year publication run — I feel fortunate to have met so many good people while out on book signings with Lucy. 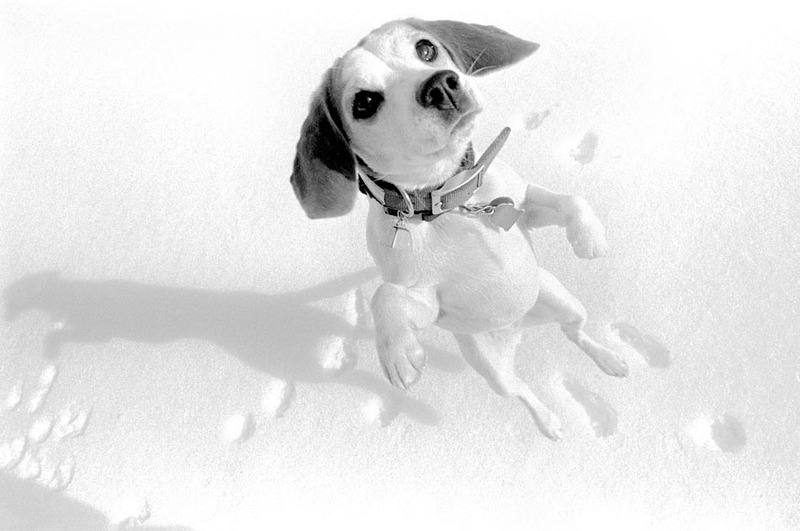 From Andrews McMeel’s catalog: “Have you ever wondered what dogs do all day, or if they’re able to express feelings? 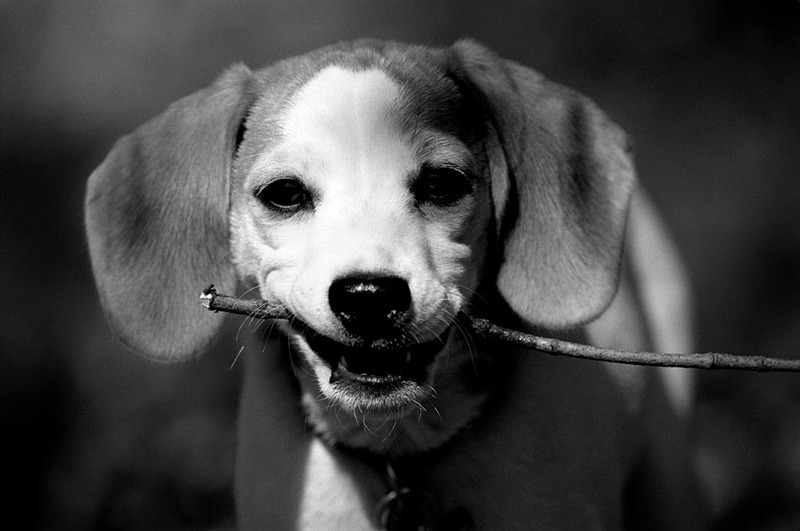 The rich black and white photos collected in My Life As a Dog detail the daily interests and activities of Lucy, a very busy and photogenic beagle. 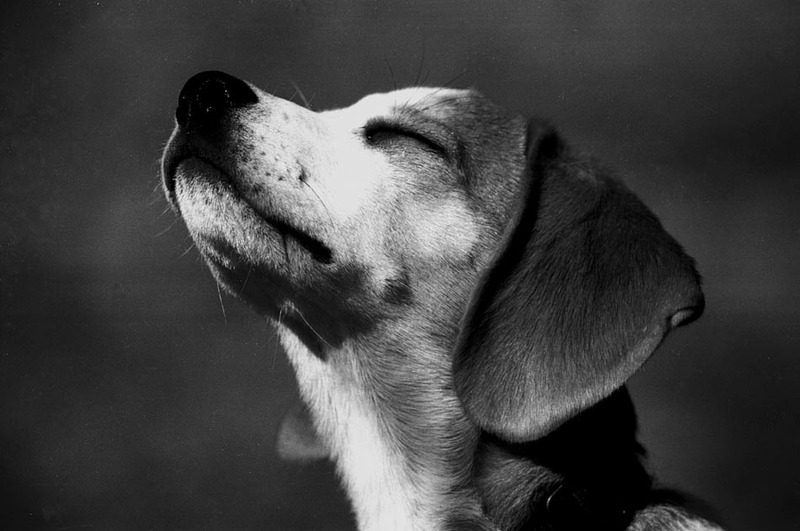 With the photos and Lucy’s narrative, the reader is invited to enter a dog’s world, as seen from a dog’s point of view. 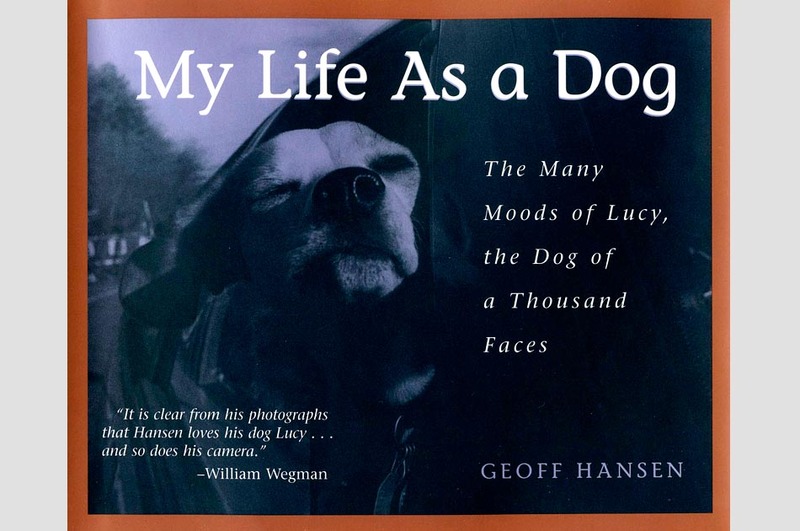 In My Life As a Dog, author and photographer Geoff Hansen shares 45 photos of family dog Lucy that capture her many moods and activities. 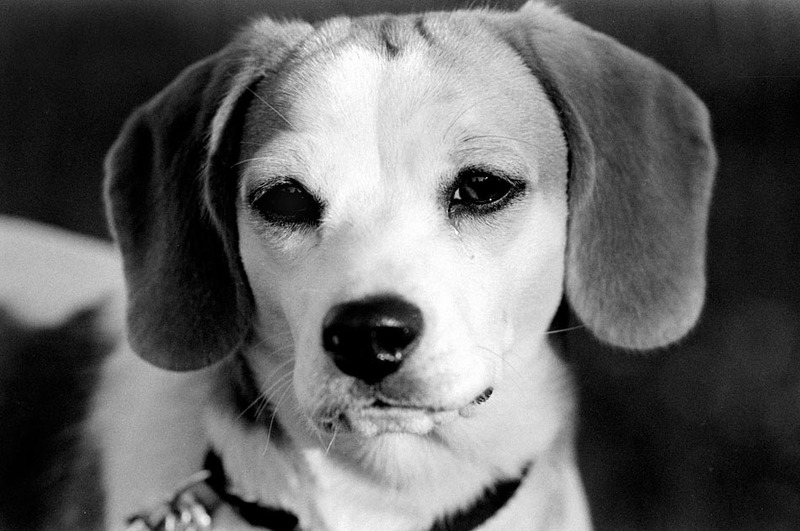 Hansen began snapping photos of Lucy when she was a puppy and soon noticed that she seemed to like having her picture taken. Lucy spars, plays, mopes, begs, sleeps, explores and even flirts with a Japanese tourist. 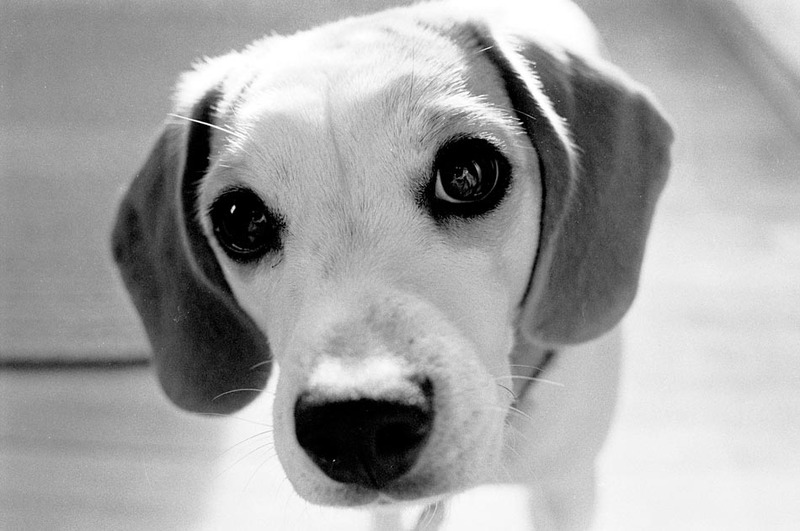 From inquisitive to bored, proud to embarrassed, the range of emotions dogs are capable of expressing are captured perfectly in these photographs.